Three suspects, two females and one male, are being looked into by the police authorities that may have a hand in the IED blast Friday night here in Davao City that killed 14 people and wounded 67 more. 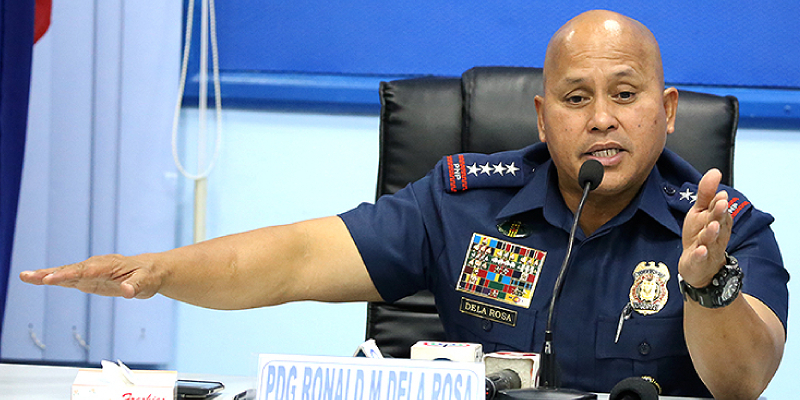 In a press conference Saturday evening, PNP chief Ronald dela Rosa said that witnesses pointed to three persons of interest that could have left the IED in the massage area of the Roxas Boulevard night market. Dela Rosa did not give more details though pending their investigation. He said they are currently cross-matching the three personalities to a gallery of known terrorists. Meanwhile, PRO XI Director Manuel Gaerlan confirmed they have eight witnesses who could help in their investigation. Gaerlan however refused to give their identities.